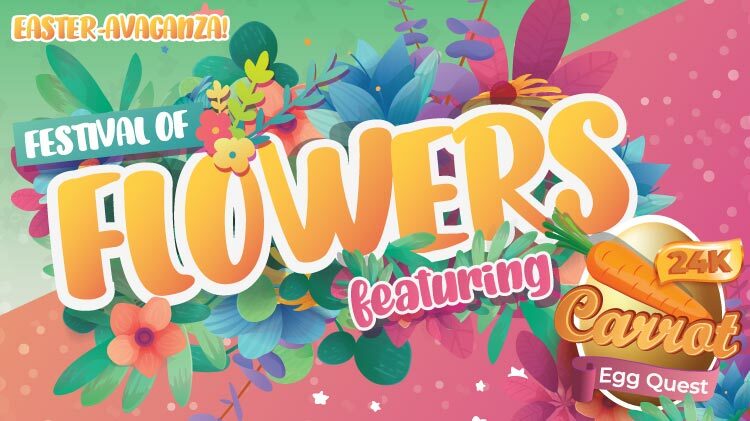 Date: Apr 20 2019, 12 p.m. - 4 p.m.
We’re celebrating Easter, “Festival of Flowers” style! There will be inflatables, free photos with the Easter Bunny and our new 24 Carrot Egg Quest! This isn’t your traditional egg hunt, each person adult or child (ages 2 and older) will enter the egg-arena, search for one egg, come out to the egg-station and find out what prize they’ve won! You have a chance to win prizes ranging from a large candy bar to items worth more than $300! Don’t miss out on all the fun this Easter!